The NHL opens another season Wednesday night, with a pair of all-Canadian matchups involving longtime rivals, the debuts of goalies Ryan Miller and Jonas Hiller with new teams and the raising of the Stanley Cup banner in Los Angeles. What a way to open another NHL season. First, the Montreal Canadiens and hometown Toronto Maple Leafs renew their long-standing rivalry at 7 p.m. ET. That’s followed at 10 p.m. ET with the second of two all-Canadian matchups in Calgary between the Flames and visiting Vancouver Canucks, led by first-year head coach Willie Desjardins. Philadelphia visits Boston at 7:30 p.m., while the Los Angeles Kings will raise their Stanley Cup banner at Staples Center, where they face off against San Jose at 10 p.m. In Toronto, the Leafs and Canadiens meet for the 725th time in the regular season. Montreal has the edge with a 343-293-88 record. The two teams opened the 2013-14 season in Montreal, where James Reimer made 34 saves and the departed Mason Raymond scored the winning goal. Reimer will be on the bench this time as No. 1 goalie Jonathan Bernier (pictured at right) gets the start for Toronto, which was 2-2-1 versus the Canadiens last season. It will mark Bernier’s first opening-night start since his NHL debut with Los Angeles in 2007 in London, England. The Canucks-Flames matchup in Calgary will feature the debuts of goalies Ryan Miller and Jonas Hiller with their respective new teams. Both signed off-season deals: Miller got a three-year, $18-million US contract with Vancouver while Hiller arrives from Anaheim armed with a two-year pact worth $9 million. Besides the goalie matchup, this contest has a couple of other interesting storylines. When these teams met last Jan. 18 in Vancouver, Canucks coach John Tortorella stormed the Calgary dressing room (watch below) in the first intermission. His anger stemmed from a line brawl that erupted following the opening faceoff after each team iced their fourth line. Tortorella was fired on May 1 after the 36-35-11 Canucks won only 11 of their final 41 games and missed the playoffs. For the Flames, it’s one prospect in and one out. 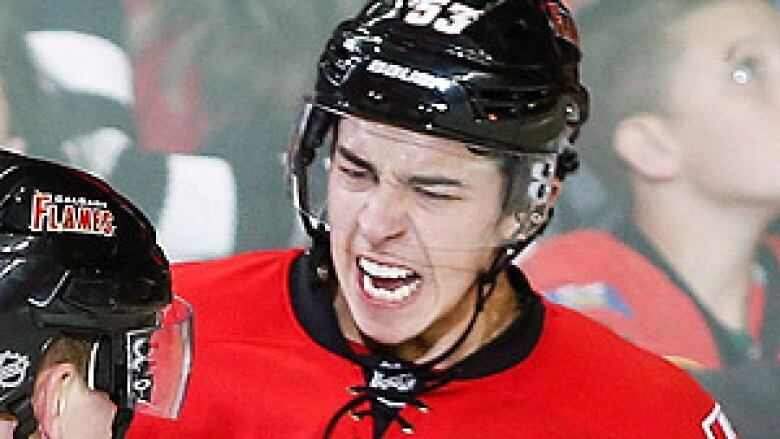 Johnny Gaudreau, the top player in American college hockey last season, starts his second game for the Flames while fellow prospect Sam Bennett, the fourth overall pick in the 2014 draft, is likely preparing himself for shoulder surgery. What will be noticeable in Boston is no enforcer on the Philadelphia Flyers’ roster after Zack Stortini and Zac Rinaldo were waived late in training camp. It’s part of a trend that sees fewer than half the NHL’s 30 clubs employing a heavyweight fighter to start the season. 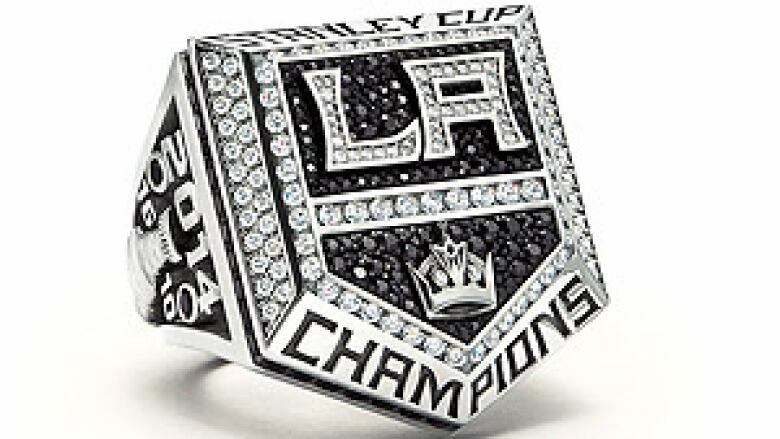 In Los Angeles, captain Dustin Brown and the Kings open defence of their second Stanley Cup championship in the past three years. San Jose provides the competition, the team that blew a 3-0, first-round series lead to L.A. in the spring to become just the fourth squad in NHL history to lose a series after winning the first three games. They will also meet Feb. 21 in an outdoor game at Levi’s Stadium, home of the NFL’s San Francisco 49ers. Jonathan Quick, who made 39 saves in that 5-1, Game 7 victory, will get the start Wednesday as he has recovered from June wrist surgery. For the Sharks, they start the season without a captain and alternate after veteran NHLers Joe Thornton and Patrick Marleau were stripped of those roles following the team’s playoff loss. San Jose is also without a clear-cut No. 1 goaltender so there’s an open competition between 2014 playoff disappointment Antti Niemi and Alex Stalock, who enters his second full NHL season. 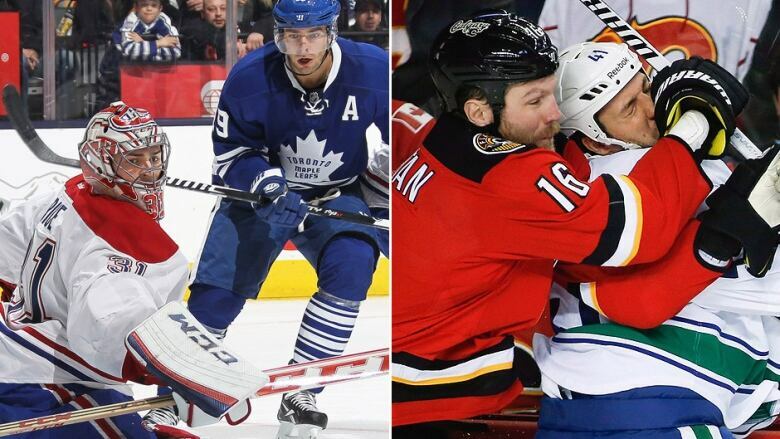 Are NHL enforcers becoming endangered?